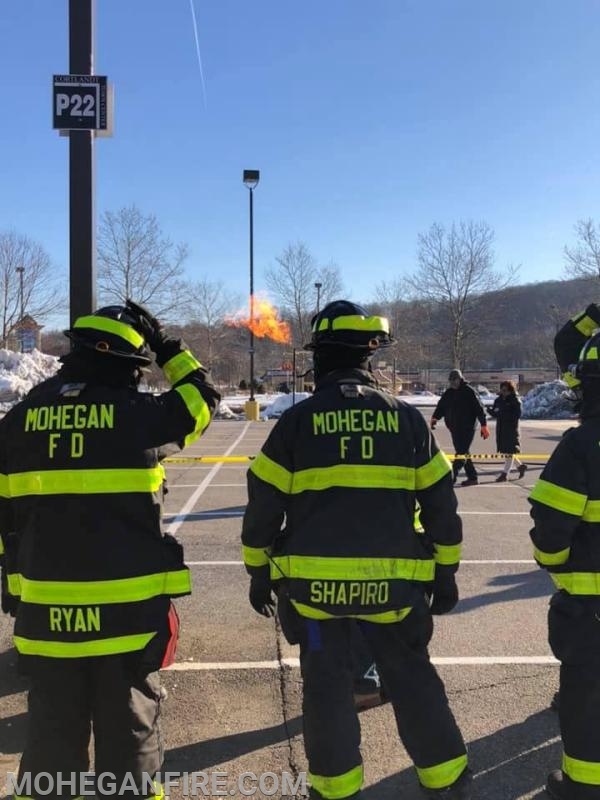 This morning Fri 3/8/19 starting at 6:30am, Car 2261, 2262, 2264, and Ladder 10 with a crew were detailed to the Cortlandt Town Center mall on East Main St (Rt 6) in Mohegan Lake to standby on a scheduled propane burn off. 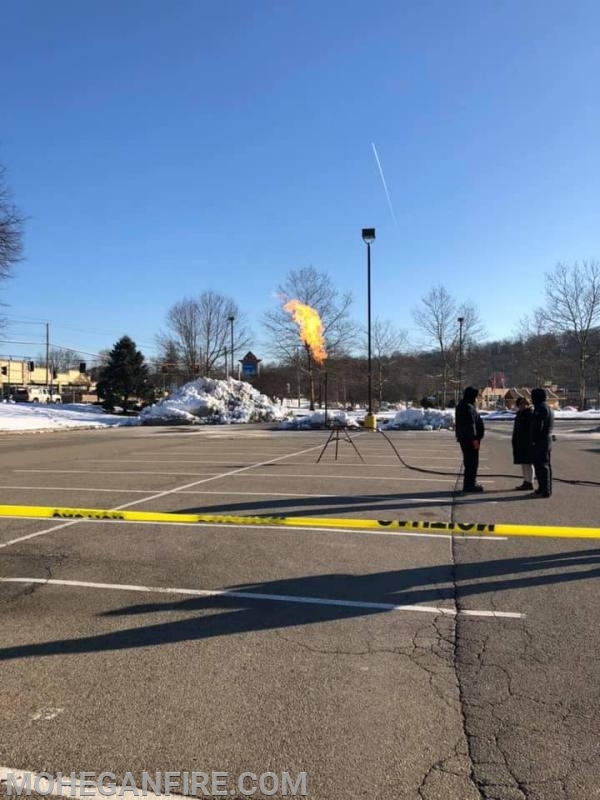 On this morning, Suburban Propane safely burnt off the remaining propane gas from underground storage tanks on the site of the previous Piazza Roma restaurant on the mall property. 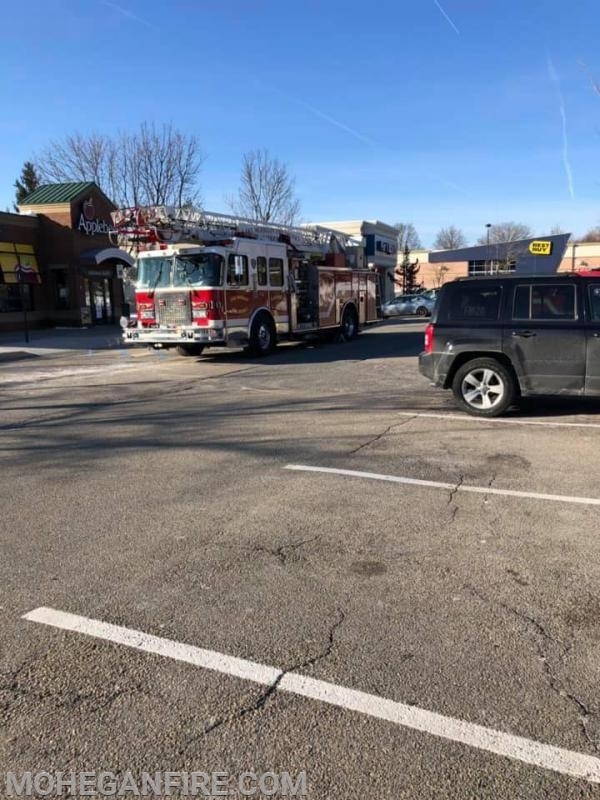 Units staged in front of the Applebee's Resturant during this detail. This project allowed for the safe removal of the propane gas, so demolition of the current building can be performed. New building construction will begin on the property shortly after demolition is complete. 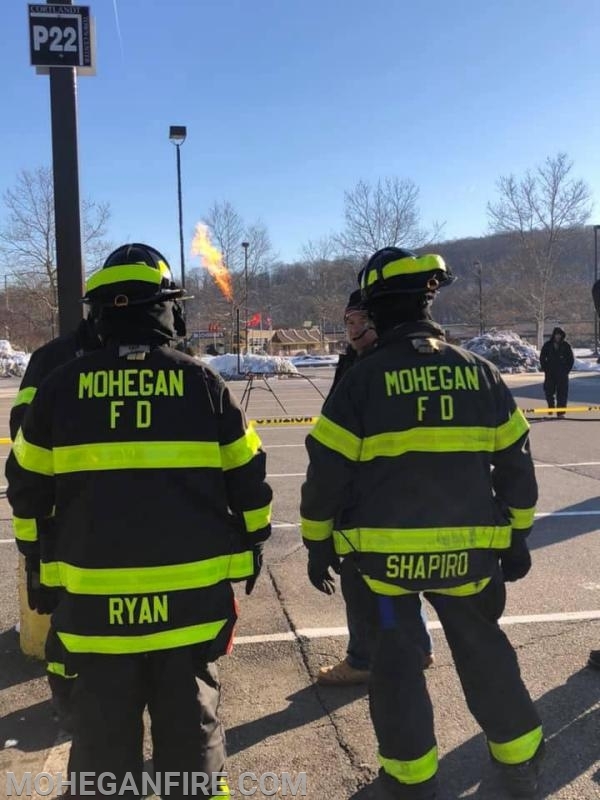 Our standby detail stood by until approximately 9am, when the gas was fully burned off. Photos courtesy of FF Gus Stretz, unless noted.